Continuing our series on particular aspects and attributes of the Harmony Technology, we turn our attention today to that most essential part of our planet; water. Water forms around two thirds of the surface of our planet and is the reason why our “Blue Planet” appears blue from outer space. You may well have learned in school, just as I did, that water is H2O, i.e. two atoms of hydrogen and one of oxygen and that was it. Although, even then, it was known that there is very, very much more to water than these three atoms, even today none of the new knowledge has, as yet, entered our school curriculum and, thereby, general public knowledge. Water is the principle information carrier for our world. Water will take up any energy with which it comes into contact and retain it until some appropriate stimulus triggers its release. This should give you some inkling of just how important water quality is to you and your life. There’s more, however, much more. You may well have heard of Masaru Emoto. If not google him. He is a Japanese physicist who has spent most of the last 40 years or so studying the informational attribute of water. 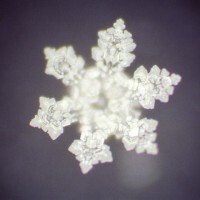 He developed a technique of photographing water at the point of freezing and, by the complexity and symmetry of the crystal formed, identifying the quality of the water. His first book “Messages in Water” contains many photos of water samples taken from springs, clean rivers, polluted rivers, tap water and many more. A few years ago we took a Harmony Evolution to his laboratory in Lichtenstein. Tests are carried out by taking a sample of water directly from the tap, filtering it with a reverse osmosis device to ensure that the water is chemically completely empty and then dividing it in two. 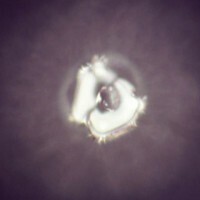 One part is immediately frozen and photographed and the second treated with the Harmony Evolution for five seconds and then frozen and photographed. Which water do you wish to drink? There is also a second transformation which takes place. Normal tap water will have a water molecule cluster size which is much too large to enter your body’s finest capillaries, i.e. it cannot reach your cells with the result that nutrients are not adequately delivered and metabolic wastes are not properly transported to the discharge organs (your kidneys, large intestine, sweat and out-breath). This results in a mounting toxicity in your body which lies at the root of a vast plethora of health issues. The application of a Harmony Evolution will, according to Dr. Mark Koh, reduce the water molecule cluster size by 20 times thus allowing your blood to easily reach all your body’s cells. 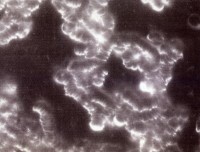 The heavily informationally polluted water in the first photograph will often lead to blood which looks like this: Blood which cannot function because everything is so clumped that the cells cannot be reached. In point of fact, both are from the same man! The first photo shows his blood as he was written off by conventional medicine as a hopeless case and sent home to die. The second photo was taken six weeks later; not because the transformation takes so long (improvements would be visible in 40 minutes) but because the wearing of a Harmony Evolution 24/7 upon his thymus gland had so completely transformed his life in those 6 weeks that, instead of dying as a cripple, he was back practising his profession. Now, what do you want to do?